We are living in a fast-paced era and age of innovative progress wherein the internet and other electronic media have virtually taken over the day to day lives. The buzz word in almost everything in today’s world of technology is links and contacts. 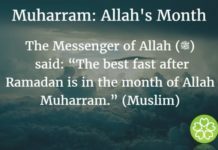 In this world of internet, if we link up with the right source of information on Islam, we will understand Islam correctly and be able to practice Islam correctly. 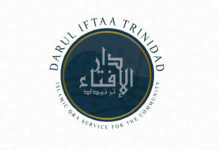 I am delighted at the launch of the website Fatwa.TT (Trinidad and Tobago) by Mufti Arshad Ali (Hafidhahullah). Alhamdulillah, Mufti Arshad Ali has successfully completed his Iftaa course under me. 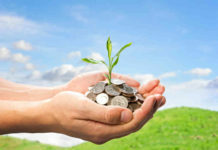 Apart from the general vigorous training of Iftaa, Mufti Arshad Ali also trained in and excelled in the field of Islamic Finance and Economics. Mufti Arshad Ali is an asset for the people in the Caribbean in general and specifically for Trinidad and Tobago. It is my hope and wish that the people of the Caribbean and Trinidad and Tobago value Mufti Arshad Ali’s academic expertise and guidance and benefit from him. It is my fervent Dua Allah accept this website and make it a means of linking people to Allah. Darul Iftaa, Durban, South Africa.